Tasting Notes: This was one of my absolute favourites of recent years – I think I got through three packs easily in 2016. 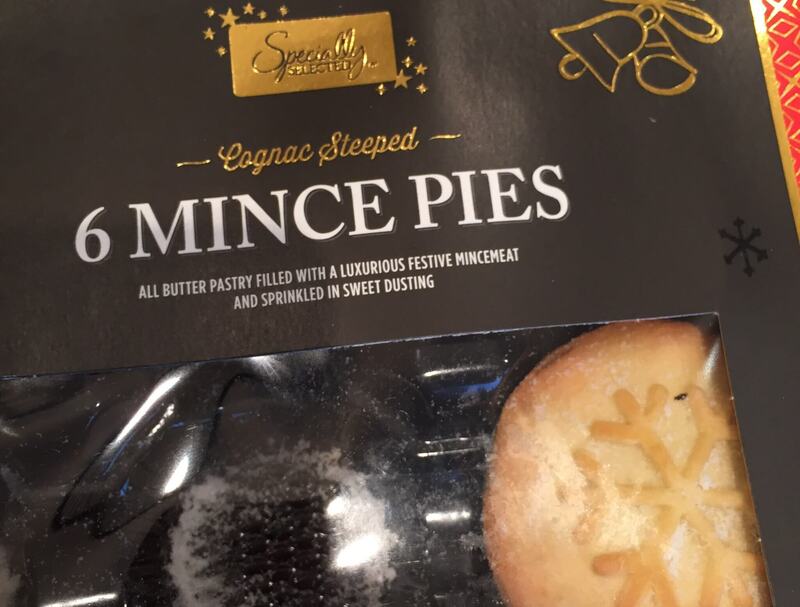 Aldi’s ‘fancy’ mince pie is here. Whilst Cognac ‘steeped’ might be a bit of an exaggeration, that’s not bad thing. More ‘with a hint of Cognac’ in my opinion. But it does give it that specially selected feeling and it’s pretty festive too. The pie has a pastry snowflake on top with gives it another point of difference, a little sprinkle of sugar to top it off as well. The pastry is as it was last time out – pretty near perfect. Crumbles just enough but not so much that it’s annoying. The mincemeat is coarse but nicely so – it’s not a paste like some pies seem to go for, you can see the individual fruits. A lovely mince pie from Aldi again in 2017, can this be number 1 this year?